… so it’s not too late to add to my favorite things of 2007 list, right? Well, even if it is, here are some things that I missed the boat on last year but am totally on board with now! 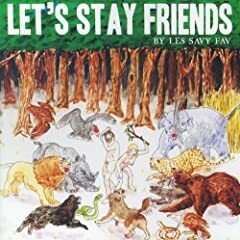 Let’s Stay Friends should have been on everyone’s “best of 2007” lists and is everything a great punk album should be [h/t: J. Evans for pointing me in this direction]. I’ll let Pitchfork break down the play-by-play but I will say that LSF is an incredible album, diverse in all the right ways (and not just because Fred Armisen plays drums on a couple of tracks). Apparently, their live show is legendary (maybe you’ll get to ride horsey with them or listen to them lecture sometime soon). 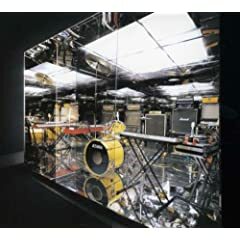 Battles features former members of Helmet and Don Caballero, although they sound more like the King of All Cosmos getting all mathy with Slint and a cryogenically unfrozen James Brown in the distant future. Although I might describe their vocals as if Simon ran off to join Hoover (he’s already got the glasses) and convinced them to merge into Q and Not U, Battles is quickly becoming one of my new favorite bands. Thanks again, J! At another friend’s recommendation, my wife and I rented Once. In this age of big budget blockbusters, lengthy epic trilogies and overwrought period pieces, Once is a refreshingly quiet, small film. There is something so lovely about the film; it’s hard to quite put my finger on it. The soundtrack is soaring and still, genuinely heartfelt in our time of manufactured emo angst — my wife bought it for me as a Valentine’s gift. One day I’ll learn to play Falling Slowly properly. 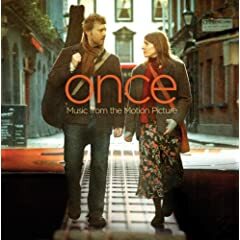 I haven’t heard the Once soundtrack or watched the movie yet but I want to. The Frames are what Coldplay wishes they were and what U2 forgot they could still be. Yes, let’s definitely hang out soon… By the way, I love your Frames analogy… you should be writing reviews for Pitchfork!